With all-around protection and unparalleled features, the StyleFolio for 9.7-inch iPad Pro is designed to make an impact - and take one. 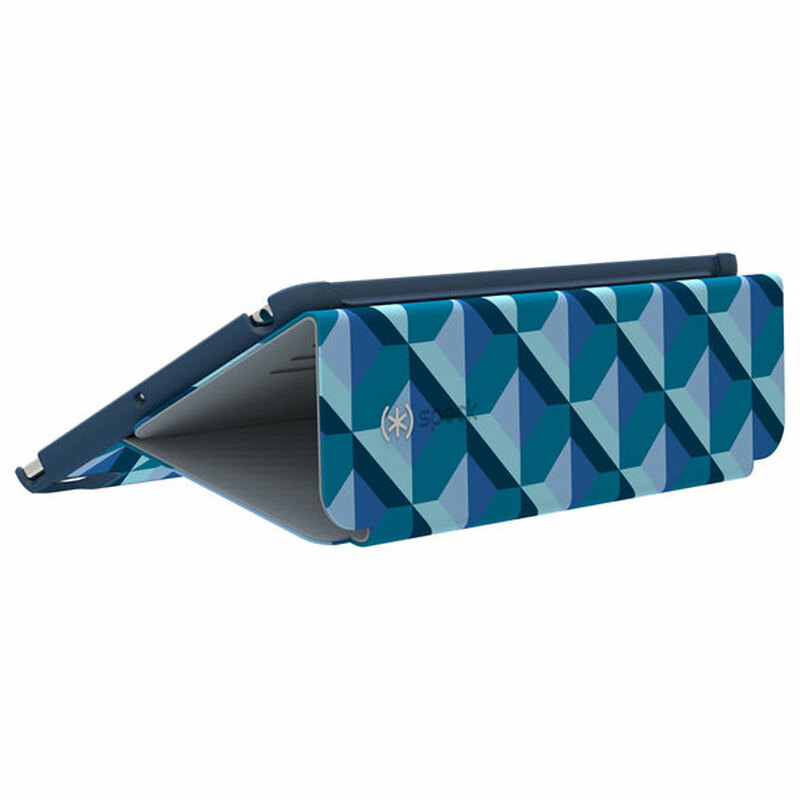 The StyleFolio for 9.7-inch iPad Pro has been carefully designed to also be compatible with iPad Air 2 and iPad Air. - Backward compatible. 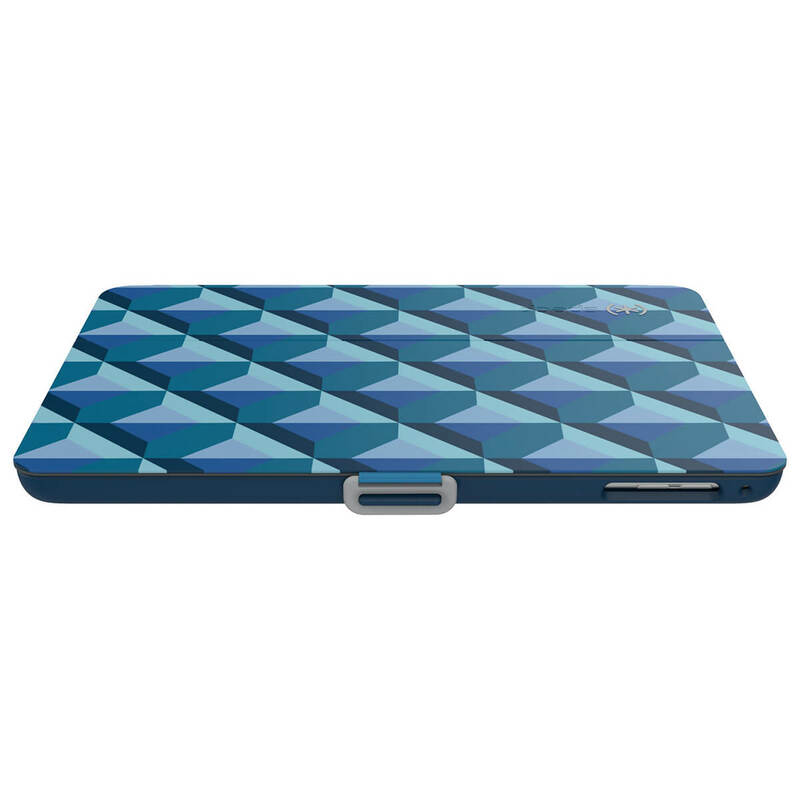 Also fits iPad Air and iPad Air 2. - Carefully designed speaker scoops. Built-in speaker scoops work with 9.7-inch iPad Pro and all iPad Air speakers to project sound towards user. - Effective rear support. Foam pads provide rear support for the thinner 9.7-inch iPad Pro and iPad Air 2, while compressing to fit the thicker iPad Air. - Strategically placed camera/button/mic openings. Large openings for the camera and volume buttons provide ample room for the 9.7-inch iPad Pro, iPad Air 2 and iPad Air, as well as rear mic access for the iPad Air. - Full perimeter protection. 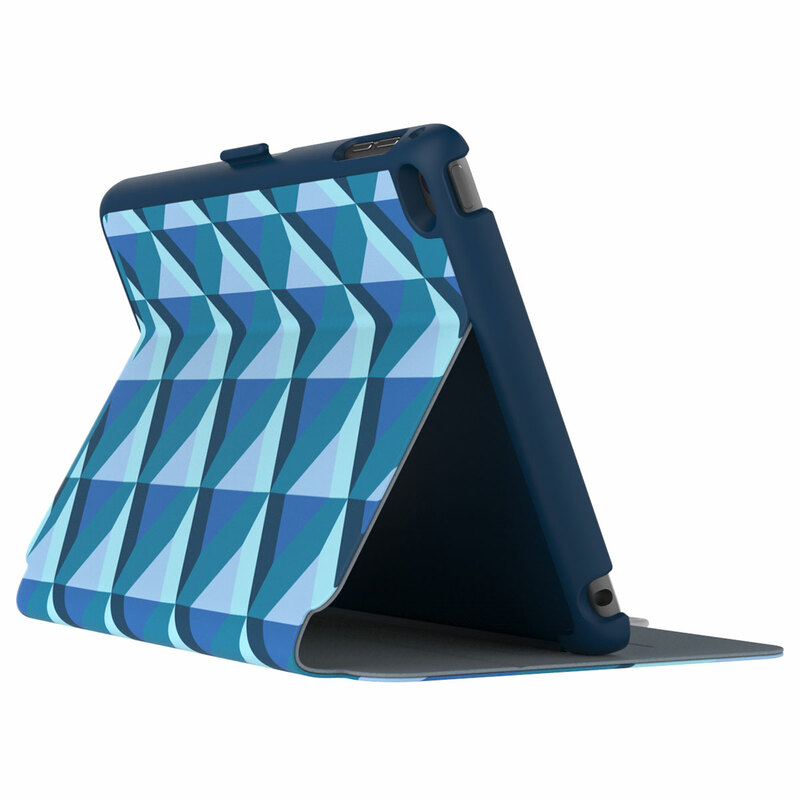 All-around protective hard shell keeps your iPad secure and scratch-free, while a soft inner lining protects from bumps, drops, and spills. - Unparalleled sophistication. 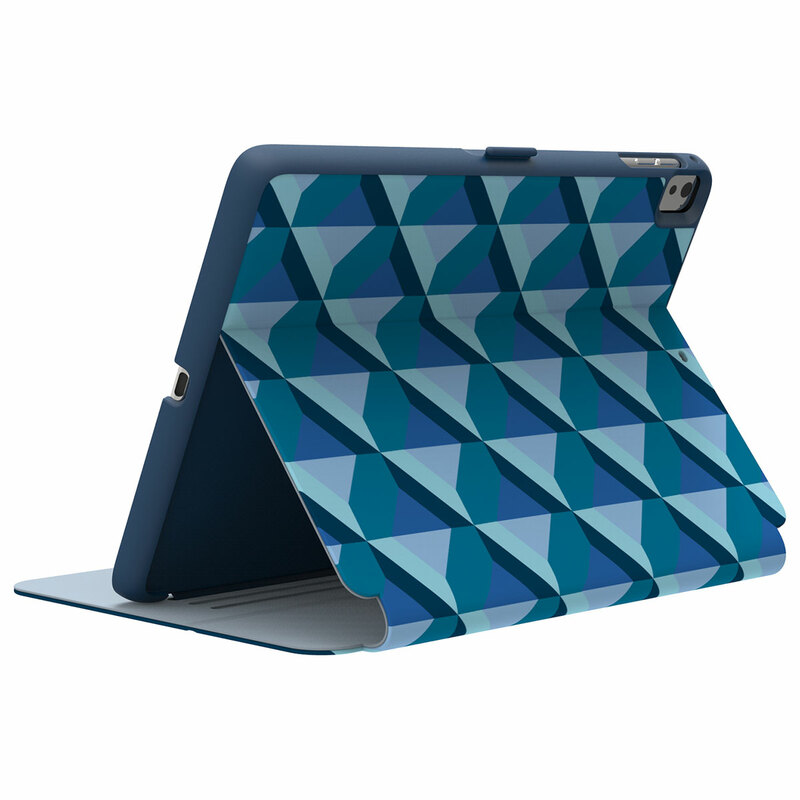 Vivid colours and high-res patterns add sharpness to StyleFolio's easy-to-clean vegan leather cover, making your iPad look better than ever. - Versatile functionality. Multiple viewing angles, along with a convenient typing mode, means you can always find the perfect angle. - Secure closure clasp. 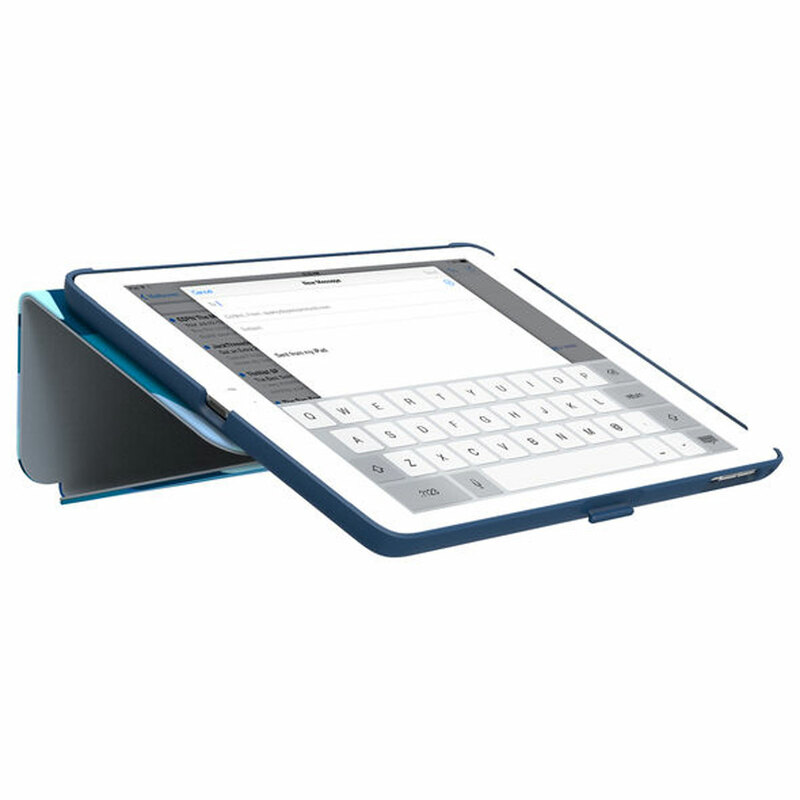 A locking clasp secures your iPad in either a folded mode when in use or closed shut for when you're on-the-go.